ACT public school wide date for enrolments for preschool are open. This year the enrolment open date is Wednesday 26 April 2017 (first day of term 2) for 2018 preschool program enrolments. Next year the starting date will be Monday 30 April 2018 for 2019 preschool program enrolments. 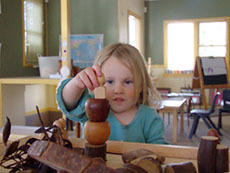 Ainslie School has two preschool sites, Baker Gardens Preschool and Reid Preschool. Each preschool has been assessed and achieved a rating of overall EXCEEDING the National Quality Standard. Educators work collaboratively to plan and implement high quality play based programs based on the school's purpose and vision statement as well as Belonging, Being and Becoming, the Early Years Learning Framework. We foster reciprocal, respectful relationships in our school community. How do I enrol in an Ainslie School Preschool for 2018? 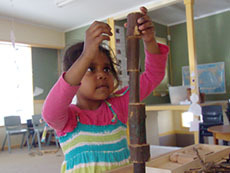 ACT public preschools have a system wide date for enrolments for preschool to open. This year the date is Wednesday 26 April 2018 (first day of term 2) for enrolment in 2018 preschool programs..
By enrolling your child into Ainslie School's Reid or Baker Gardens Preschools, your child will automatically move onto kindergarten at Ainslie School. 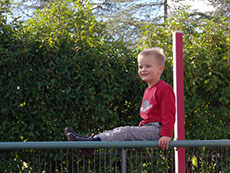 Ainslie School's priority enrolment area includes the suburbs of Canberra City (Civic), Acton, Reid, Braddon and half of Ainslie (South Side of Wakefield Avenue and Wakefield Garden). In 2017 this contribution amounted to $60 per semester. As with all contributions in public schools, they are voluntary and where a family cannot meet that contribution in full or at all, the school equity fund will ensure all children's needs are met. The preschool parent committee is a sub-committee of the Ainslie School P&C Association with a president, secretary and treasurer as formal positions. They assist the running of preschool through fundraising to update resources and helping to keep the environment safe and engaging. For further information, please contact Early Childhood Education on 6205 9296 or email DET.consultation@act.gov.au.